Music has always had the power to transcend social and political borders, and eager listeners have always found creative ways to satisfy their need for melodic escape. But few methods were as ingenious as the one used by people in the Soviet Union who were denied the privilege of listening to Western music like jazz and rock. 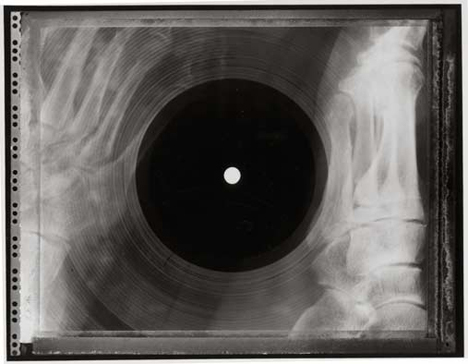 Clever bootleggers began pressing their own records as early as the 1930s. 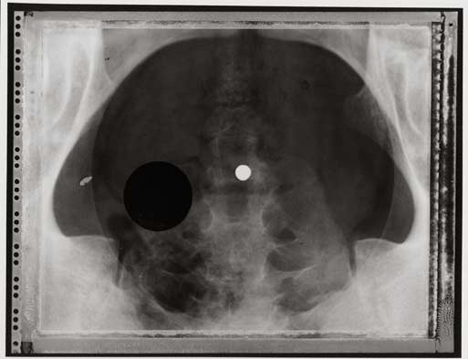 The practice seemed to explode in popularity in the 1950s. 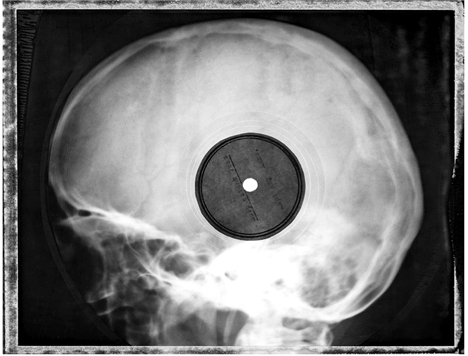 However, due to material shortages and the covert nature of the pressings, bootleggers had to look for creative materials on which to store the forbidden sounds. 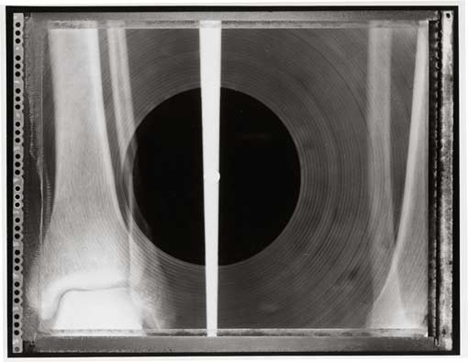 They turned to a surprising source that was both free and readily available: discarded X-ray films fished from hospital dumpsters. 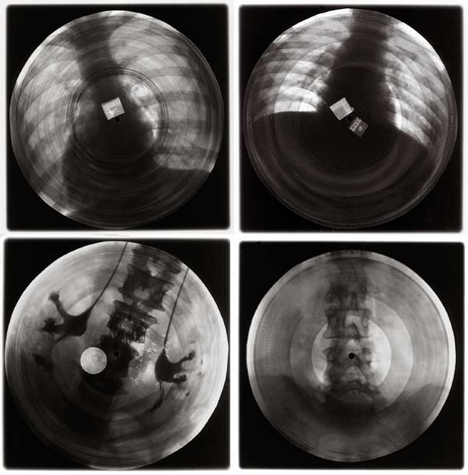 Using a special device to replicate the scarce few contraband records that made it into the USSR, records were pressed directly onto the X-rays. 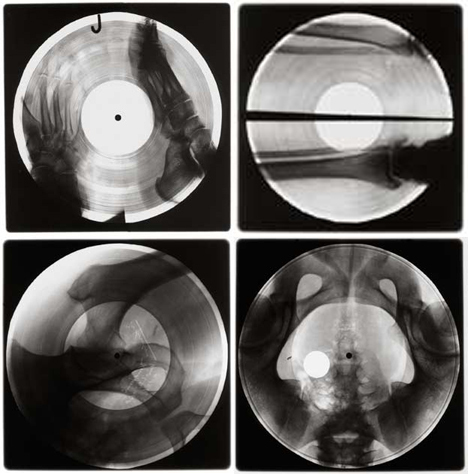 The music-playing grooves could only be pressed into one side of the X-rays and the sound quality was quite low – but the “bone music,” as the records came to be known, fulfilled a need for culture from other parts of the world. 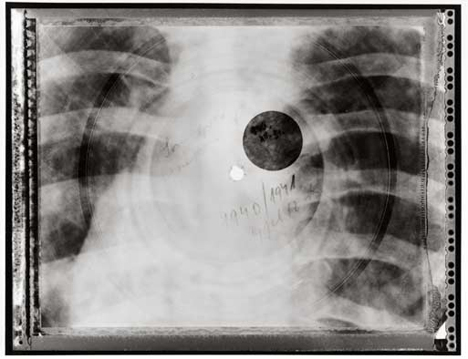 The finished records were cut into crude circles with scissors, a label was affixed, and a cigarette made the central hole that would allow the records to play on a standard turntable. The results were oddly compelling. Here were two types of completely different media laid one atop the other: a picture of a broken bone, or a mass in a lung, or a cracked rib, would play the music that was so sought after in the isolated reaches of the USSR. 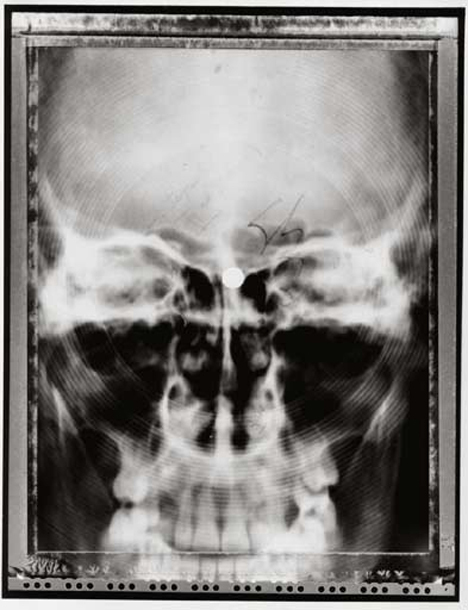 The industry grew quickly, and the X-ray Press, or roentgenizdat, was producing millions of bone music records. Authorities were alerted to the underground bone music industry and by 1958 the bootleg records were made illegal. They remain an important part of history, however, and some of the actual records can be found today in the sound archives of the Hungarian Radio. 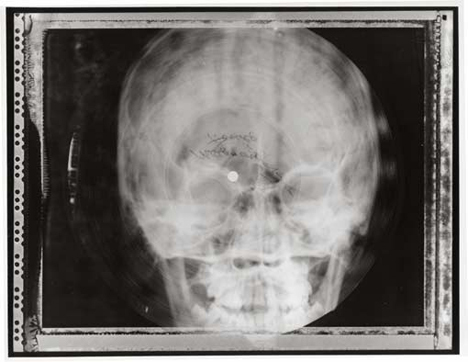 Photographer József Hajdú added a third layer of media to the already-complex bone records by photographing them to share the story of illegal bone music with the rest of the modern world. See more in Antique Gadgets or under Vintage & Retro. January, 2015.